The Socialist Party candidate and former Mayor of Tirana, Edi Rama, won handily with 53 percent of the vote, ousting the incumbent, Sali Berisha, and his Democratic Party after eight years in power. The Organization for Security and Cooperation in Europe lauded the election as being free and fair, and a marked improvement from the past. In addition, the losing party officially accepted the results for the first time in the five parliamentary elections since 1992. Another first for this election cycle was the prominence of business issues in party platforms. Jobs and the economy were the number one issues in the campaigns of all three major political parties. Never before have Albanian politicians shown such an interest in engaging with business in a public-private dialogue. It remains to be seen how the new government will continue these conversations now that the election is over, but there is a cautious optimism among business leaders in Albania that there will be a much more supportive atmosphere for genuine cooperation. CIPE is currently partnering with a broad coalition of business associations and chambers of commerce to help strengthen the ability of the Albanian business community to conduct advocacy and act as a constructive partner in the public-private dialogue with government. By coalescing, the Albanian business community can take advantage of favorable political winds to improve the overall business climate and, thus, climb further up the ladder towards EU accession. 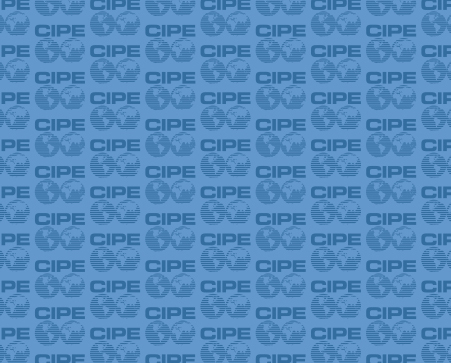 David Mack is Program Assistant for Eastern Europe & Eurasia at CIPE.